Daniel R. Gage is the managing partner of the Firm. He focuses in commercial and civil litigation. He also acts as lead counsel on subrogation matters pertaining to property and general liability litigation. Dan also specializes in corporate law and development advising numerous local and regional companies and their staff on a range of complex legal issues from start up and taxation implications to technology and insurance coverages. As such, he closely monitors the legal landscape as it pertains to insurance for changes affecting policy and liability applications. 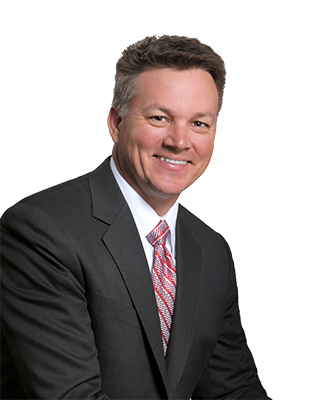 Mr. Gage prides himself in providing vigorous representation to individual clients while providing exceptional value to the insurance carrier from pre-litigation to suit inception through case resolution. This includes evaluating the legal viability of high-visibility pre-litigation claims, identifying available defenses prior to suit or settlement, providing accurate initial case assessment on litigation files, developing prudent yet aggressive litigation strategies and, when necessary, vigorously defending clients in his role as lead trial counsel in litigation. He also represents corporations and other entities in all aspects of litigation and transactional business including matters relating to corporate organization, operations, employment, taxation and windup. Mr. Gage received his B.A. degree from the University of Pittsburgh. He earned his MBA, Juris Doctorate and LLM in Taxation from Temple University, and studied international law at Oxford University in England and at the University of Aberystwyth in the United Kingdom. He is a member of the Bars of the States of New Jersey and Pennsylvania, and is also admitted to practice before the U.S. District Court of New Jersey and the U.S. District Court of the Eastern District of Pennsylvania. International Law | University of Aberystwyth, U.K. Comparative Law | Oxford University, U.K.